﻿ Hotel Versailles Rome. JIMAT di Agoda.com! Ada soalan mengenai Hotel Versailles? Dengan lokasi mudah di Rome, Hotel Versailles adalah tempat yang hebat untuk menjelajahi bandar yang menarik ini. Terletak 0.0 km dari keseronokan bandar, hotel 1-bintang ini terletak di lokasi yang sangat baik dan menyediakan akses kepada tarikan terbesar di bandar. Hotel moden ini berada di sekitar kawasan tarikan bandar yang popular seperti Leoâ€™s, Porta Salaria, Arya Gioielli. Di Hotel Versailles, segala usaha dilakukan untuk membuatkan tetamu berasa selesa. Oleh yang demikian, hotel ini menyediakan perkhidmatan dan kemudahan yang terbaik. Ketika menginap di hartanah yang indah ini, para tetamu boleh menikmati Wi-Fi percuma semua bilik, Wi-Fi di tempat awam, tempat letak kereta, pengangkutan lapangan terbang, lawatan. Tetamu boleh memilih dari 15 bilik, semuanya yang akan memberikan suasana ketenangan dan keharmonian. Di samping itu, pihak hotel menawarkan aktiviti rekreasi untuk memastikan anda mempunyai perkara untuk dilakukan sepanjang penginapan anda. Apabila anda mencari penginapan yang selesa dan mudah di Rome, ijadikan Hotel Versailles sebagai rumah anda seperti berada di rumah sebenar. Mengikut peraturan cukai, semua tetamu perlu membayar surcaj cukai bandar yang tidak termasuk dalam kos tempahan dan akan dikutip oleh pihak penginapan semasa daftar masuk. We had to pass 4 days in Rome & we wanted to have a bath every night. Initially the owner said that the 1st day we wouldn't had hot water but he said this depends on the council. He said the problem was on the 4th & 5th floor due to not enough pressure of the water. He said we could possible have the next days another room but he didn't know how to check the availability! We had to ask his assistant who wasn't there then. All days we had no water at all at night & only cold water in the morning, so last night I asked if a room was available in another floor & he said initially he had two rooms but after he asked how many days we are still going to be there. I said tonight & after he changed his mind & said he would have only the next day available the rooms because the occupiers asked to stay one more day.. This change happened the next second after I said tonight!! Bad experience! He should had informed us in advance and he should had offered refund as we did not get what we paid for! Great place, awesome staff. Air conditioning wasn't on, but other wise , highly recommend the place. We stayed in Hotel Versailles for Four Nights and it was a good Choice for a City Trip! The room was always clean and at our Arrival the receptionast gave is a lot of useful Information about the City itself and the possibilities of transportation. For the Stay there were a tv and a bunch of Magazines in Different languages. The only "negative" Point was the shower curtain. It was a bit dirty and though the cabine itself was very smal it touched you everytime the water was getting hot. It also Wasn't clear if the air conditioner was Working. But we would Return their if we would ever come back to rome! Was of walkable distance from the Rome Termini station. Bus stop was very close that had buses to Piazza Venezia for access to the Colosseum and for a bus to the Vatican City. Reception staff gave good directions of which bus to catch for the respective sites and gave good dining recommendations. They followed up after our stay when they found some keys in the safe (wasn't our keys but nice of them to follow up). Room was tidy. 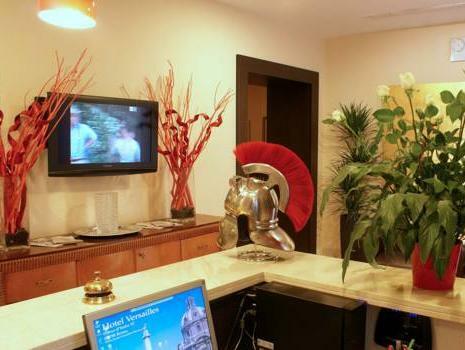 The hotel is in a good location for visiting the sites of Rome and has plenty of cafes and restaurants within walking distance. There is no food available at this hotel but I have had to select one of the ratings above to complete this review so I have selected the highest. 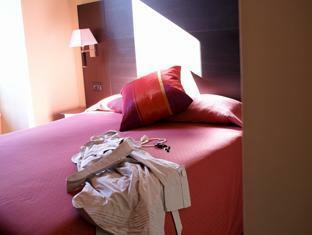 The staff are very knowledgeable and helpful, I would recommend this hotel to everyone!! The hotel location was very hard to find and located inside a building. without any sign and only a small hotel name located on the fron door of the building. you have to be very careful to look around this area to look for this hotel. once inside the hotel was very small only around 6 rooms. the great things was only the owner of the hotel who was very nice to explain to me the route or map around Rome. clean room, good bathroom, a little out of the way but not too bad. a little out of the way but walking was not a problem to the park or subway. 10 minutes. if you looking for a hotel please forget about this its a business buliding that they perepar some floor as hotel .the location not bad but a bit noisy and you can find easily take bus 90 in termini and in second stop get off after 200 meter stright you can fin in right side.the room is good and simple clean but the water for shower is usualy cold i think the price for this place is too much expensive you have to pay as much as 4 star hotel . We stayed in this hotel for 4 nights while in Rome on holiday. Because both of us had a lot of agoda points we made 2 seperate consecutive bookings, when checking in this was not a problem and we got the same room for 4 nights. Also the staff was very helpful to provide some tips on how to get around Rome, since it was our first time there. The hotel itself is basic, but very nice and with a very clean bathroom. The location is not bad with multiple bus stops around the hotel going all kinds of places in Rome. There are also a few restaurants/cafes around to get breakfast and/or dinner. the location of the hotel is well served by bus transportation to the major attraction in the city. restaurants and cafes are abundant around the hotel. Had just 1 night to visit Rome for sightseeing. A good choice of budget hotels, clean and quiet room. Although bathroom is a bit narrow to use, but OK. Not closed to Termini or Metro, you have to take a 5-8min bus to Termini. LCD TV should be 32" instead of 26". I expected to be staying in a budget-style hotel, but Hotel Versailles is more boutique than budget. The rooms are really clean, and resembling a typical N. American modern hotel. You really get good value for your money. Only note is if you're expecting an Italian-style feel to your room...This is definitely not it. 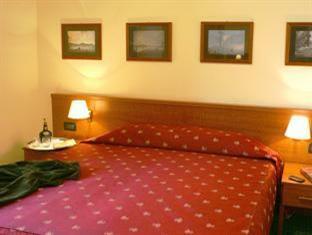 The location of the hotel is good, on Corso D'Italia it is only a 15 min walk to Republica station. You can literally walk to the hotel from Termini (if you get a map). There are lots of restaurants and pizzerias near the hotel too. the reception was very friendly and we were happy that there was wifi for a couple of hours in the room. it's a nice place in a late 18th century building. the room was clean and cosy with tv and refrigerator nearby was a great pizza takeout place ... the italians says it's a champion place and when we were there we understood has it had many trophies and many local italians eating there. 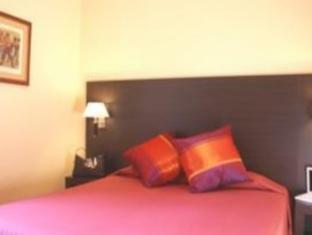 Attractive, clean rooms, good location & decent price. Reasonably priced and very attractive, the Hotel Versailles was, in some respects, a very pleasant surprise. It is virtually indistinguishable from the outside, as it only occupies part of a building. My main complaints would be that the hotel has a heavy smell of smoke, and not being a smoker myself, it was a little gross trying to sleep in a bed that smelled of smoke. Everything looked beautiful, modern, well appointed and clean, and would have gotten the highest of praises if not for the funky odor. Location: Very near Roma Termini station and there is a bus stop at every corner of the block. May not be easy to spot, though because there's no big signage outside but the directions from the website are quite good. Staff: Superb! Very friendly and does not wait to be asked to give help. Room: They're quite small but was no issue for me coz I was traveling alone. They're also very clean and every is new. Other Service: Wifi is very very good but you can only log in one device at a time (e.g. I couldnt use the net for my laptop, Blackberry and iPod all at the same time). No food in the ref, but you can easily buy food outside. There's nothing else to do--no pool or restaurant or spa. But, it is in the heart of the city so it would be a waste if you spent your time on those anyway so still highly recommended for tourists. They provided a very useful tour map. It's all I used during my entire stay! Terletak dekat dengan Termini, stasiun utama bus dan kereta api. memudahkan kita untuk mulai perjalanan sekitar kota Roma. Kalau kita datang pertama kali dan membuka pintu pertama, kita tidak dapat membayangkan akan menemukan hotel dengan kamar yang luas bersih sekali dan nyaman.